Summary: Katniss accepts her new position as the rebel in District 13. Her and a few others were taken from the Quarter Quell. The Quarter Quell is from Catching Fire. However, Peeta was not one of these who were extracted. He is still missing and in close watch under the Capitol’s eyes. Each day, Katniss still feels as if President Snow haunts her. After much torment, she chooses to accept the role as Mockingjay for the rebel side. By accepting this role, she is granted immunity for her friends and authorization to personally end President Snow’s life. Beetee, another Game victor, works with Katniss closely. She trains Katniss to become a special weapon. As the role of Mockingjay, Katniss is featured in commercials representing the rebel side. These clips are called propos. In a propo, she teams up with her dear friend Gale. They are sent to District two. During their time in District two, they visit a hospital that ends up getting destroyed. By speaking with the injured, and then seeing the hospital being demolished, encourages Katniss to fight for justice. The rebels begin to gain strength after her decision. This is also stimulated by the coded message Peeta sent out to warn the rebels. After Peeta sent out this message, the Capitol releases footage of Peeta being tortured. Why I picked it up: I watched the movie, “The Hunger Games,” and I loved it, so I decided to read the sequel for it. Why I kept reading it: Once you pick this book up, you won’t be able to put it down. Who would I give it to next: Anybody who watched or read The Hunger Games will love this book. Summary: Beatrice Prior, nicknamed Tris, lives in the dystopian city of Chicago. This society is divided into different factions, each standing for its own morals and purpose: Dauntless, Abnegation, Candor, Erudite, and Amity. The day that each citizen becomes sixteen is of utmost importance; it is the day that he or she chooses which faction to join for life. However, there are buried secrets in the history of this isolated society. Tris discovers during a simulation that she is unique- or, as they say, Divergent. As she goes through initiation, she faces the difficulties in training, dealing with other initiates, and the corruptions in the government. 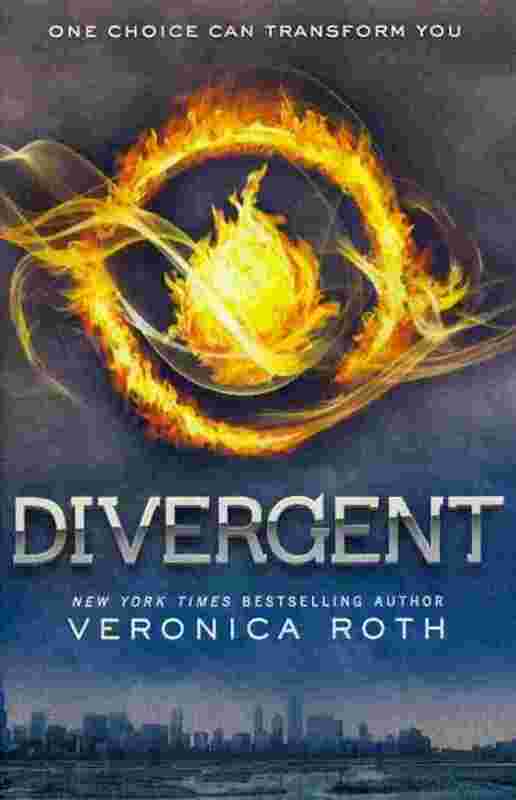 The mystery of what being Divergent actually means eludes her. The problems build, providing stepping stones to lead to the climax: an all-out civil war between the factions. Why I picked it up: My friend, who has a similar taste in novels, recommended it to me. I was intrigued when I started reading the first chapter; it sucked me in from the start. Why I kept reading it: The plot line was fascinating and fast-paced; it kept me glued to the book. Also, the fact that each faction stood for a human characteristic was certainly interesting. Who I would give it to next: In a way, this book is slightly reminiscent of The Hunger Games- a teenaged girl protagonist, dystopian society, and budding romance. However, the storyline varies greatly. Fans of The Hunger Games will probably enjoy this.